How did the idea of the giant prism come about? The thought process began with the theme of the ‘Future’. In our brainstorming sessions, we realised that as each person has a different view of what the future is, the imagery of the future can be interpreted and even distorted in many ways. We decided this would be where our concept would stem from. We liked the idea of a prism because firstly, when viewed from different angles, a prism seems to change its shape and move. Secondly, and more importantly, a prism distorts light that shines into it into different directions. Just like our ideas on the Future – from the outside, we look at it from different angles, but once we go through time, and emerge many years later in the future, we realise that our future is likewise distorted by the effects of time and our experiences. 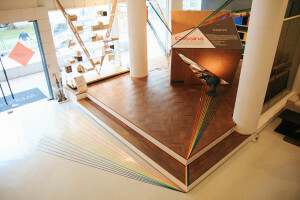 For TOPOS Design Studio, the concept of a prism exemplifies the vision of the future as the complexity of our ideas and views change through time. Why do you think it got the people’s vote? 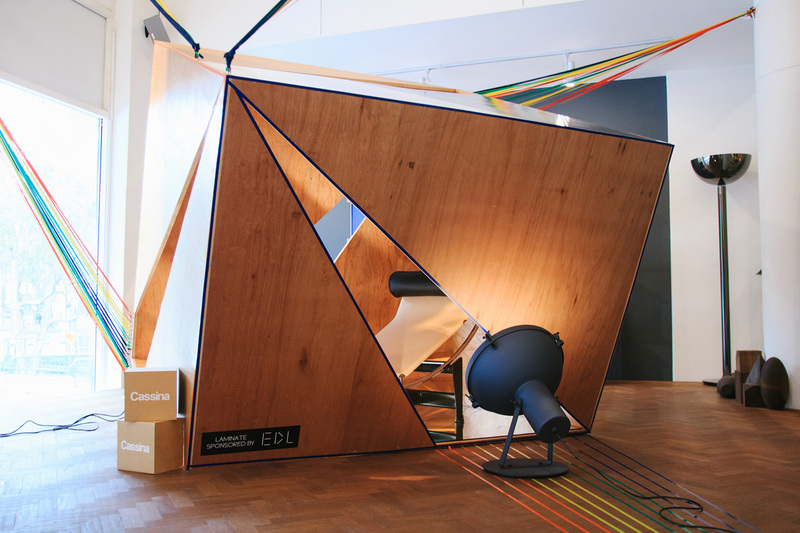 We feel that our installation got the people’s vote by creating a concept that people could relate to. 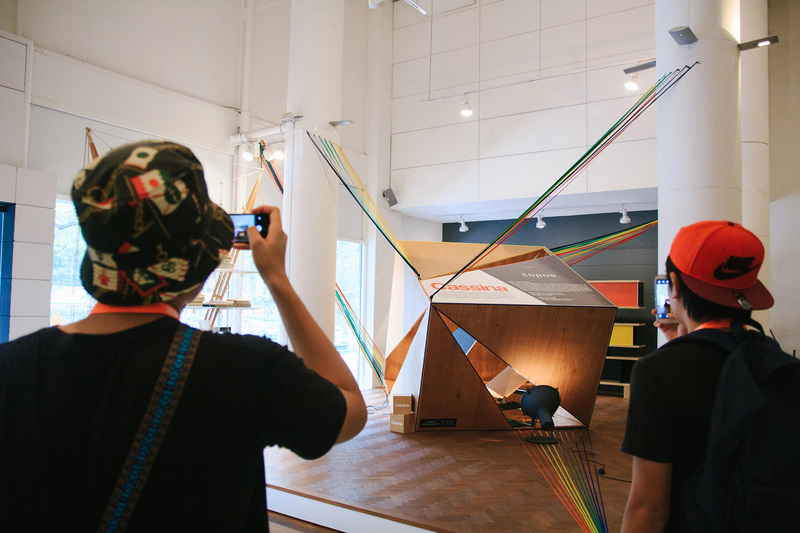 The prism itself drew people’s attention by having many colourful details leading across the floor and up to the pillars – it was eye catching even from the road. The C4 chaise-longue hidden inside allowed the visitors to view the product and installation in a unique ‘peek a boo’ way making it interactive and playful. 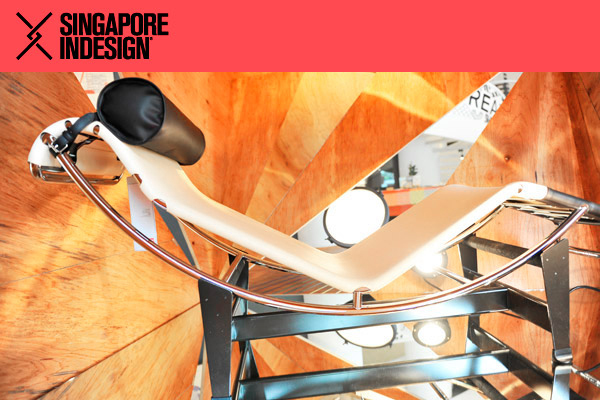 At the same time, the mirrors highlighted parts of the chaise lounge which would normally not be seen from normal viewing angles, making the entire installation stand out as people tried to figure out what they were looking at! How did the collaboration with TOPOS Design Studio come about? TOPOS Design Studio would like to thank every person who has voted for us, and for Indesign, and the Dream team for making this a success.